Oct. 26, 2017, 10:43 a.m.
By Shan Wang @shansquared Oct. 26, 2017, 10:43 a.m.
It’s Facebook’s world; we just live in it. Facebook recently launched a test — and tests, for the platform over the years, are a dime a dozen — of a new and separate feed outside the main News Feed all its users see when they log on. Called Explore and marked with a rocketship icon, the section was the new home for a mix of posts from Facebook pages — meaning public figures, brands, and of course, news organizations found what they published to Facebook exiled there. This particular test, according to Facebook, is taking place only in Bolivia, Cambodia, Guatemala, Serbia, Slovakia, and Sri Lanka. Want to get back into the regular feed? Facebook would be happy to let you — if you buy an ad. The drop in reach for most news organizations on Facebook in those six countries has been precipitous. 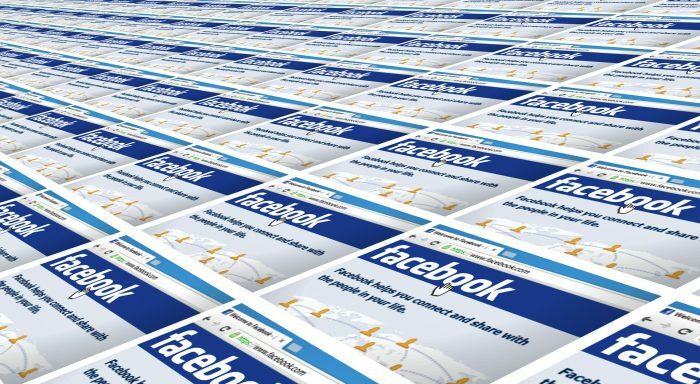 Since Slovakian journalist Filip Struharik of Slovakian news outlet Denník N noted the change in a Medium post, the “biggest drop in Facebook organic reach we have ever seen,” affected news outlets have been vocal about their sudden diminishment on Facebook’s turf. And the numbers have been something to fear. Traffic to Soy 502, one of the top Guatemalan news sites, had fallen 66 percent since the test, according to Soy 502 journalist Dina Fernandez. The site normally gets around 60 to 70 percent of its traffic from Facebook. Facebook had been in touch with her site in advance before the experiment started, she said, as Soy 502 has been a news partner of the platform in Central America, so it was aware a drop would soon occur. But it still wasn’t prepared for the scale of it. Traffic to Nómada, a small but well-known digital magazine in Guatemala, has dropped 57 percent, its editor-in-chief Martín Rodríguez Pellecer told me (comparing a six-day average from September versus after Facebook made the Explore Feed change). The site usually sees just under 50 percent of its traffic coming from Facebook. Other percentages reported in a variety of other stories about the Explore Feed tests have been comparably alarming. Facebook has said that the test will run for a few months, and that its users have asked for changes that would allow them to see posts from “friends and family” more readily. The platform, of course, has always tested out new products with smaller segments (erm, like entire individual countries) of its user base. Facebook has said it currently isn’t planning to roll out the Explore feed globally, though it’s evaluating metrics like whether users are sharing and commenting more, and whether they say they prefer the change. Are these the metrics you would look at when deciding whether or not to roll this out to everyone? How long does that process usually take? I asked Facebook, among other things, why they chose these particular six countries — countries, as many have already noted, have seen enormous social and political turmoil in the past few years. Their answer didn’t address anything specific about the realities of its six testing grounds. People at the news outlets I spoke to have been frantically reframing their strategies, in case the splitting of the feeds does indeed make users happy and Facebook decides to go with it more permanently. POSTED Oct. 26, 2017, 10:43 a.m.
Wang, Shan. "When a Facebook test moves news stories to a separate feed, traffic — and public discourse — are at stake." Nieman Journalism Lab. Nieman Foundation for Journalism at Harvard, 26 Oct. 2017. Web. 23 Apr. 2019. Wang, Shan. "When a Facebook test moves news stories to a separate feed, traffic — and public discourse — are at stake." Nieman Journalism Lab. Last modified October 26, 2017. Accessed April 23, 2019. https://www.niemanlab.org/2017/10/when-a-facebook-test-moves-news-stories-to-a-separate-feed-traffic-and-public-discourse-are-at-stake/.